The time has come to start heading towards home. My personal reflections so far? Nindigully Pub was an absolute highlight for both of us. I very much enjoyed the journey to my home town of Dirranbandi and meeting up with Anne Young of Begonia Station. Seeing all the buildings that Dad used to work in and sleep in really bought a tear to my eye and I’ve since shown Dad some of those photographs which bought a whole heap of memories flooding back for him. The country in Western Qld is absolutely devastatingly dry and in the grip of a horrible drought. Stock are starving and look painfully thin with owners doing what they can to feed them up. When I spoke to Dad about the conditions at Begonia during his time there, he said he had never seen it as dry as it is now. The Australian Stockman’s Hall of Fame and the Waltzing Matilda Centre at Winton were both excellent in their displays and both managed to remind me of Dad again as I took many photographs. But, back to the trip. We packed up from the Lions Den Hotel and made the short journey to Cairns. We stopped on the bridge over the Little Annan River for some photographs. Then we got to the Palmer River Roadhouse which I really wanted to stop and have a look at. There aren’t many independent roadhouses in the country anymore and this one has it’s own stories to tell. Damian regaled me with a couple of stories of is own from his time up here in FNQ. There was a huge CAT bulldozer on the back of a low loader parked at the Roadhouse. 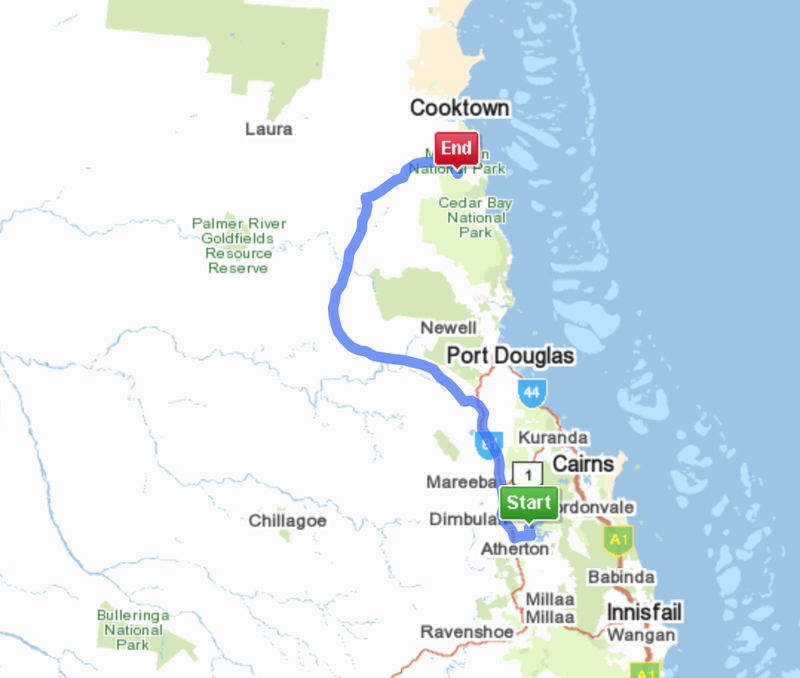 Damian got to talking with the driver who was telling him that they had been cutting a fence line in Cape Melville National Park but the rains that came meant leaving it there for 3 weeks. They had to ‘walk it out’ i.e. drive it out as opposed to putting it on the low loader and bringing it out that way. 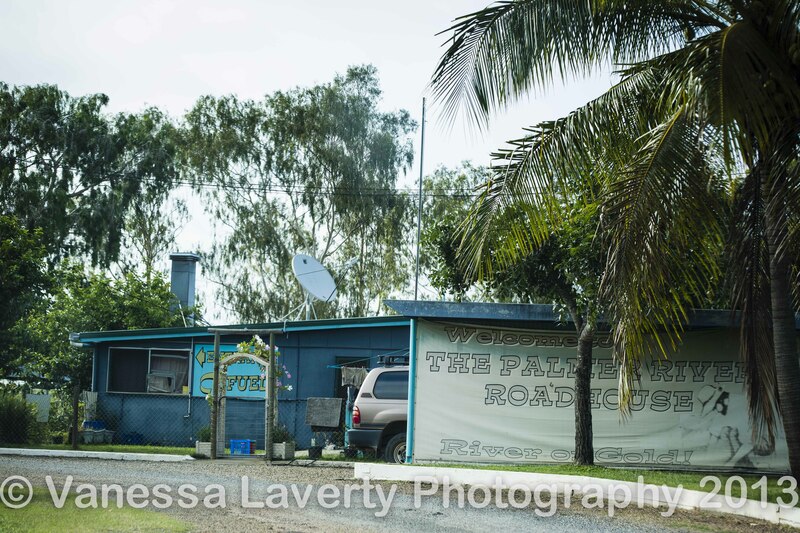 We had a look around inside at this iconic piece of far north Queensland where the driver helped himself to a cup of tea from the urn and supplies on a table near the bar. Once we left the Roadhouse, we journeyed on towards Cairns. Stay tuned for the next post about Cairns and where we stayed there.